These fish have a much bigger fight than you might expect. 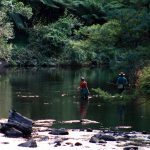 Australian freshwater creeks, rivers, and billabongs are home to some seriously feisty native fish. Many of these species are at the smaller end of the fish size spectrum, but what they lack in proportions they make up for with brute power and aggression. Here are some species that punch well above their weight for fighting capacity and should be on everyone’s bucket list. Australian Bass are prevalent in east coast rivers and freshwater impoundments from Victoria to central Queensland. 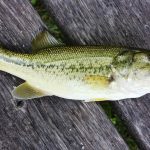 Bass are a stunning and powerful fish that eagerly pounce on spinnerbaits, plastics, hardbodies, flies and surface lures. They love lurking among snags and under bankside vegetation and will always do their best to bury your lures into structure. Sooty Grunter are a tropical freshwater species present in Queensland and the Northern Territory. Sooty Grunter are fiercely aggressive and dirty fighters that are arguably one of Australia’s most powerful fish. Pound for pound, these tropical terrors would pull almost any fish backwards! Sooties are also present in a number of impoundments where they attain remarkable proportions and attack virtually any lure. Golden Perch or Yellowbelly are common inhabitants of temperate inland waters of Queensland, New South Wales, Victoria, and South Australia. They are a stout species that are regularly reach 50 cm in length and 5kg in weight. Yellowbelly are fond of spinnerbaits, blades, hardbodies and soft plastics. They aren’t particularly dirty fighters but they use their weight to challenge anglers on light gear. Jungle Perch inhabit freshwater coastal rainforest streams in tropical Queensland. Their range has been reduced due to weirs and dams blocking their annual breeding migrations. 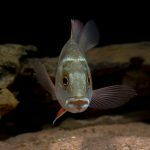 Jungle perch thrive in crystal clear streams and have remarkable eyesight. They’ll hit a range of lures but can be tricky to tempt. Jungle perch are built like torpedoes and once they get beyond 35cm in length, they really pack some power. There are two species of Saratoga present in Australian waters. The Northern Saratoga is present in billabongs and freshwater rivers in the Northern Territory and Cape York. The Southern Saratoga is endemic to the Fitzroy River catchment in central Queensland. These prehistoric looking fish engulf lures with gusto and deliver exciting surface strikes. Saratoga are a beautiful fish with spectacular pink spots. Look for them lurking among aquatic plants, resting under overhanging vegetation or cruising in open water. All of these native freshwater species can be tamed on beefed-up bream gear. You’ll need a 3-6kg spin or baitcast outfit spooled with 6-10lb mainline. Baitcast outfits are great if you’re exclusively using spinnerbaits, but I’d personally opt for spin gear for its versatility and ability to cast small plastics. The extra casting distance is also handy for chasing species that cruise in open water. Leaders should range between 10 and 20lb and monofilament is better for surface offerings. Use lighter leaders on jungle perch in crystal clear water. All of these spirited fish species can be targeted in canoes, boats or on foot. They inhabit some of the most spectacular countryside in Australia and targeting them is an adventure in itself. If you love an exploratory fishing expedition, grab a light spin rod and start planning. 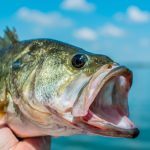 Is there any fish you think should be on this list? Name the fish and share your detailed knowledge through the comments section below.